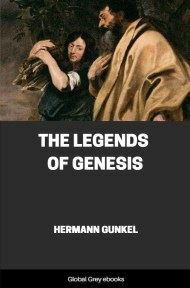 The Legends Of Genesis is the English translation of the introduction to Gunkel's commentary, 'Genesis'. 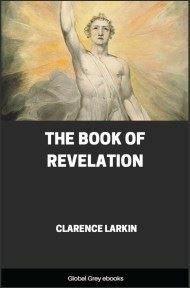 The author uses critical analysis on the text of Genesis to determine the various genres of the biblical legends and their significance to the authors. 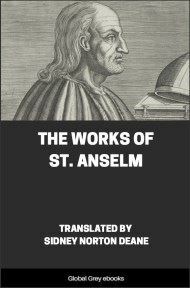 He also attempts to uncover buried clues as to the sources of the text; finally offering his hypothesis to explain how the various sources came to be combined, and how the text later came to be attributed to Moses. The writing of history is not an innate endowment of the human mind; it arose in the course of human history and at a definite stage of development. Uncivilised races do not write history; they are incapable of reproducing their experiences objectively, and have no interest in leaving to posterity an authentic account of the events of their times. Experiences fade before they are fairly cold, and fact and fancy mingle; only in poetical form, in song and saga, are unlettered tribes able to report historical occurrences. Only at a certain stage of civilisation has objectivity so grown and the interest in transmitting national experiences to posterity so increased that the writing of history becomes possible. Such history has for its subjects great public events, the deeds of popular leaders and kings, and especially wars. Accordingly some sort of political organisation is an antecedent presumption to the writing of history. Only in a later, in the main a much later, time is the art of writing history, learned through the practice of writing national histories, applied to other spheres of human life, whence we have memoirs and the histories of families. But considerable sections of the people have never risen to the appreciation of history proper, and have remained in the stage of the saga, or in what in modern times is analogous to saga. Thus we find among the civilised peoples of antiquity two distinct kinds of historical records side by side: history proper and popular tradition, the latter treating in naive poetical fashion partly the same subjects as the former, and partly the events of older, prehistoric times. And it is not to be forgotten that historical memories may be preserved even in such traditions, although clothed in poetic garb. Even so did history originate in Israel. In the period from which the Book of Genesis is transmitted to us the art of history had been long established and highly developed according to ancient standards, having for themes, here as everywhere, the deeds of kings and especially wars. A monument of this history is found in the narratives of the Second Book of Samuel. But in a people with such a highly developed poetical faculty as Israel there must have been a place for saga too. The senseless confusion of "legend" with "lying" has caused good people to hesitate to concede that there are legends in the Old Testament. But legends are not lies; on the contrary, they are a particular form of poetry. Why should not the lofty spirit of Old Testament religion, which employed so many varieties of poetry, indulge in this form also? 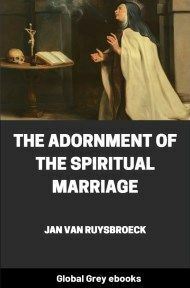 For religion everywhere, the Israelite religion included, has especially cherished poetry and poetic narrative, since poetic narrative is much better qualified than prose to be the medium of religious thought. Genesis is a more intensely religious book than the Book of Kings. There is no denying that there are legends in the Old Testament; consider for instance the stories of Samson and of Jonah. Accordingly it is not a matter of belief or skepticism, but merely a matter of obtaining better knowledge, to examine whether the narratives of Genesis are history or legend. The objection is raised that Jesus and the Apostles clearly considered these accounts to be fact and not poetry. Suppose they did; the men of the New Testament are not presumed to have been exceptional men in such matters, but shared the point of view of their time. Hence we are not warranted in looking to the New Testament for a solution of questions in the literary history of the Old Testament. Now, since legend and history are very different in both origin and nature, there are many criteria by which they may be distinguished. 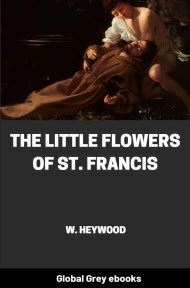 One of the chief points of difference is that legend is originally oral tradition, while history is usually found in written form; this is inherent in the nature of the two species, legend being the tradition of those who are not in the habit of writing, while history, which is a sort of scientific activity, presupposes practice in writing. At the same time the writing down of an historical tradition serves to fix it, whereas oral tradition cannot remain uncorrupted for any length of time and is therefore inadequate to be the vehicle of history. Now it is evident that Genesis contains the final sublimation into writing of a body of oral traditions. The tales of the patriarchs do not have the air of having been written down by the patriarchs themselves; on the contrary many passages reveal clearly the great interval of time that lies between the period of the patriarchs and that of the narrators. We read frequently the expression "even to this day," as in Genesis xix. 38; the kings of Edom are enumerated down to the time of David, xxxvi. 31 ff. ; the sentence "in those days the Canaanites dwelt in the land" must have been written at a time when this race had long since passed away.